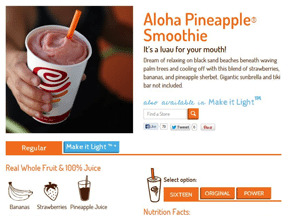 Detailed product descriptions are crucial to converting the highest number of shoppers. That doesn’t always mean, though, they should be front and center. The average shopper wants to know more about how a product will solve pain points than anything else. By putting primary focus on benefits rather than detailed specs, you can increase purchase conversion rates and get more people excited about what you sell. Apple’s website is a good example of how shining a spotlight on the benefits trumps everything else. Products are described with stellar imagery and animations, alongside simple headlines. Brief text defines the specific benefit. If shoppers want to know more, they can click to review features and design factors, as well as technical specifications. 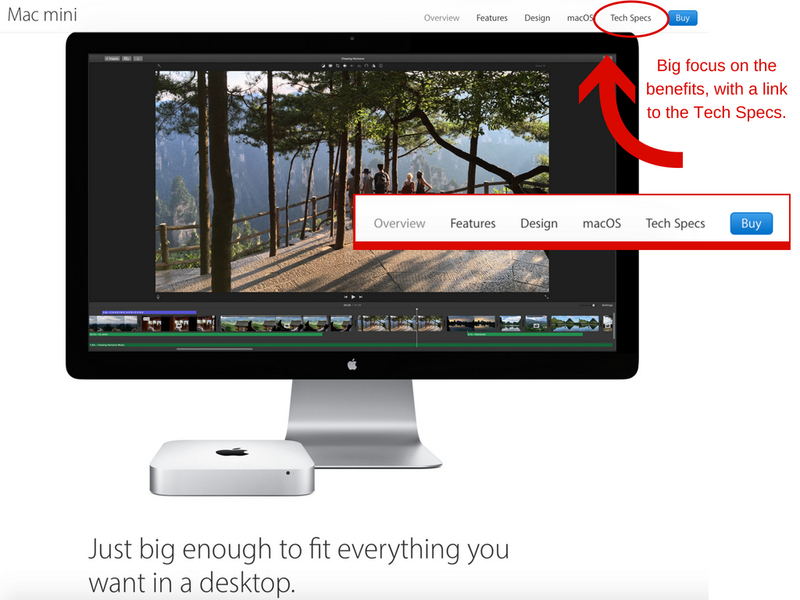 Apple’s product pages focus on stellar imagery and simple words to describe key features. This “hook” method is one of the reason’s Apple leads many paths. It consistently solves problems its customers don’t even know they had. Reveal the solution to a single problem the highest number of people have. Aside from novelty items, nearly every product solves a pain point. Purple knows that the majority of people would love a better night’s sleep, and it focuses on that right out of the gate. 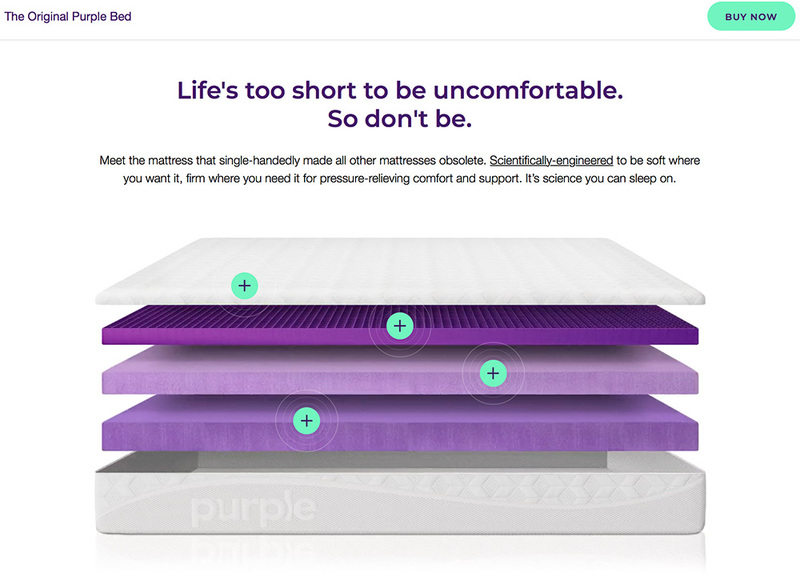 Purple calls big attention to the need for comfort for a better night’s sleep. Point out a problem they might not realize they have. 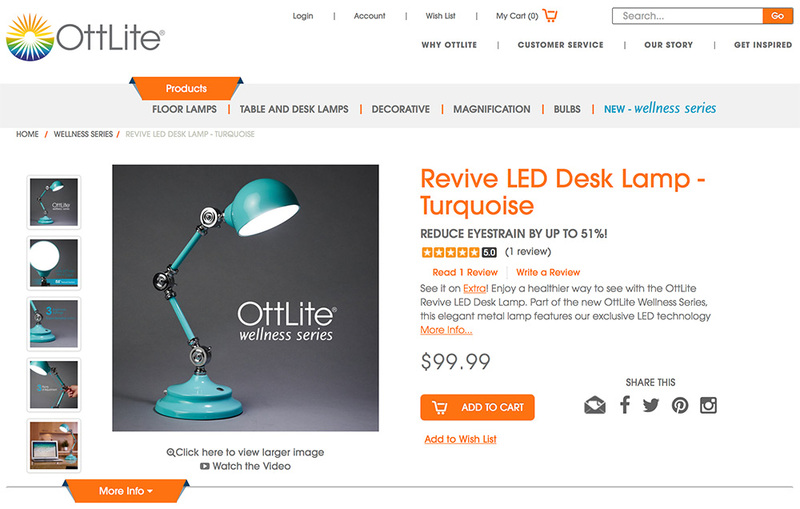 OttLite’s Wellness Series lamps are designed to reduce eyestrain. Key features of the Revive Desk Lamp include three brightness settings and precise positioning of light. But you don’t read about those until you scroll down. Instead, attention is drawn to the main selling point – that the lamp can reduce eyestrain up to 51 percent. That statement alone is enough to entice shoppers to read more below the scroll line – where they’ll find all the other neat features. Ottlite puts the solution front and center, right beneath the product name. Make them feel good about resolving to fix an issue. Products made from recycled materials and eco-friendly goods deserve more attention because they help overall store sales. And, when shoppers know a portion of their purchase helps other people, animals or the environment, they’re more apt to buy. To generate more traction for these types of products put key info right near the top of the page. For example, PopSockets addresses the problem of dropped phones. When the company couples its problem-solving product with wildlife conservation, it turns a necessary buy into a feel-good purchase. This can help turn those on the fence into instant customers. Call attention to causes you support, especially if specific product purchases support them. Put that a-ha feature front and center. If there’s an amazing feature everyone needs to know, don’t hide it in the product description. Instead, call attention to it via text, images or video. If it’s the number one selling point, it should be the most apparent element of the page. Let the main image whet their appetites. 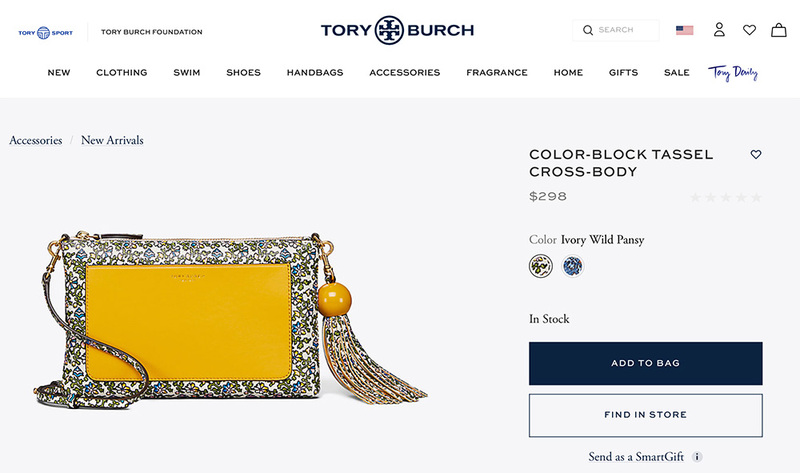 Fashion and fashion accessories sites rely on imagery more than anything else. For example, while the dimensions of a woman’s handbag are important, they are useless if the shopper isn’t drawn to the design. Focusing on the main graphics makes shoppers more apt to want more information, and more apt to review related products if the dimensions just won’t work. If the design of a product plays a huge rule in the buying decision, showcase the design. Whether it’s trying to figure out what to wear on a weekend getaway or how to reduce household expenses, products solve problems. To bring more attention to that add to cart button, you have to relate to the shopper and the problems he has (even if he wasn’t aware of one). Don’t forget to include other selling points above the scroll line. This includes buy-one-get-one offers, free add-ons, rebates, and guarantees. Just make sure those additional points don’t detract from the real message – that they need the product regardless of any kickbacks. 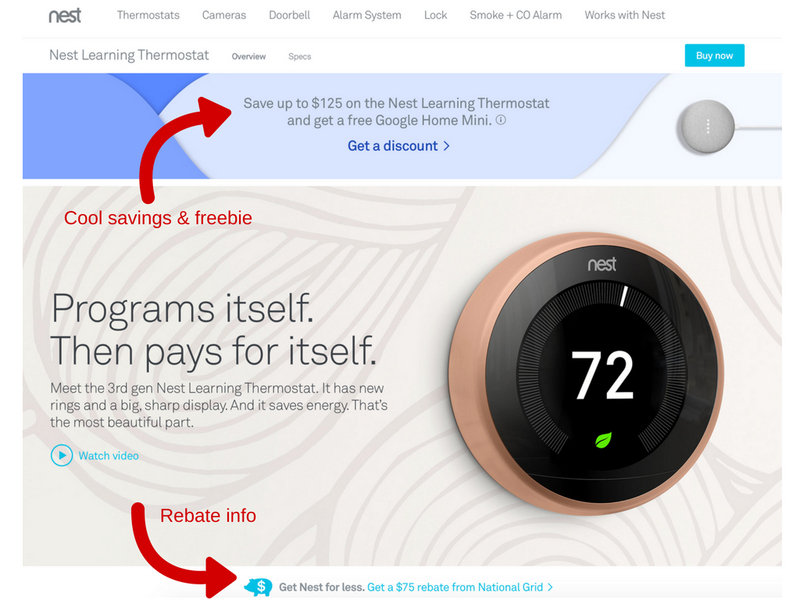 Nest calls attention to the benefits of the thermostat, as well as a gift and rebate. 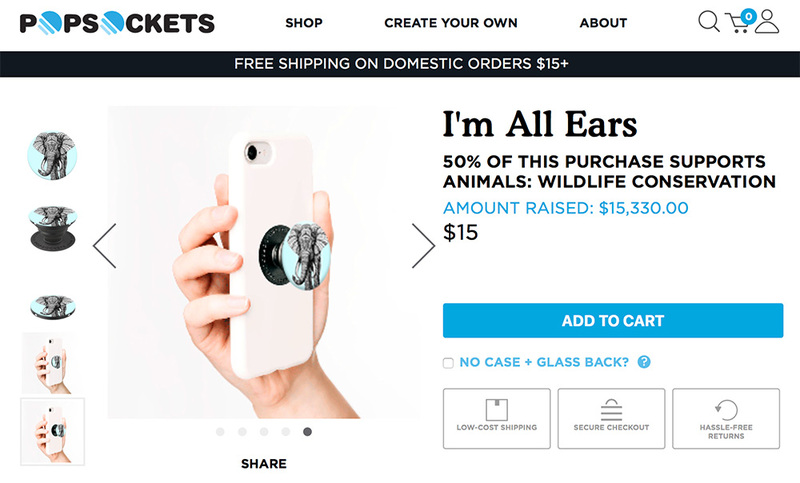 While it may not be feasible to use any of the above methods for all products in your store, these “hook” methods can help increase both share and purchase conversions.